At CRD, Photo Dynamic Therapy (PDT) is primarily used to treat sun-damaged skin, acne vulgaris, precancerous lesions such as actinic keratoses, superficial wrinkles, blotchy pigmentation and other pigmentation irregularities. The first step in PDT involves applying a photosensitive chemical topically to the skin. As an example, Aminolevulinic acid (ALA) or Levulan® is used to treat actinic keratosis (AK), a common precancerous lesion. 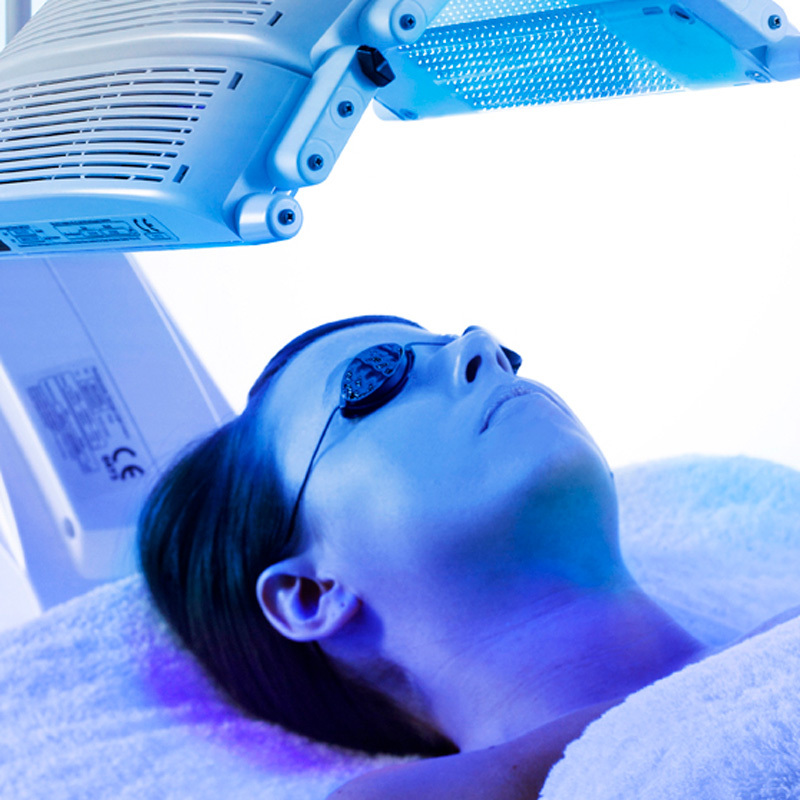 Once the photosensitizing agent is allowed to incubate, for about an hour, the skin is then exposed to a specific wavelength of light that activates the chemical destruction of the sun-damaged, precancerous lesions. Because the photosensitizing chemical is preferentially absorbed by the target tissue and the light directly targets the lesion, this procedure minimizes damage to adjacent healthy skin. PDT can be useful in treating acne as it significantly reduces the P. acnes bacteria found deep in hair follicles that creates inflammation. PDT is also effective in rejuvenating aged and sun-damaged skin by increasing clarity and smoothness and tightening lax skin. During your initial consultation Dr. Lorenc will determine if the minimally invasive skin treatment and rejuvenation that is possible with PDT is the best solution to your skin concerns.